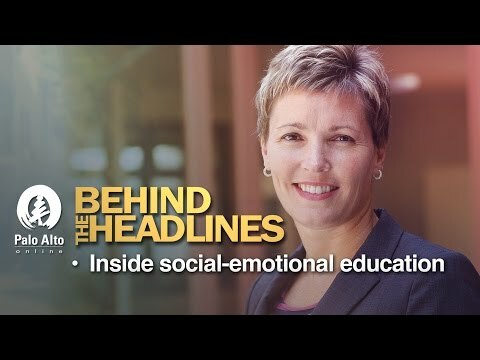 Gunn High School Principal Denise Herrmann joins Palo Alto Weekly journalists Jocelyn Dong and Elena Kadvany to discuss the Palo Alto Unified School District's proposed framework for boosting students' social-emotional skills. Herrmann recently co-chaired the district's Social Emotional Learning Curriculum Committee. For more information on the topic, go to PaloAltoOnline.com. Posted by I. Love. Gunn. !! Never Forget, I'm curious about what you're referring to. Please provide a link to what Ms. Herrmann did at her previous school in WI. PAO will not remove such a link, only an unwarranted interpretation. Thanks.